Below is the full list of all of our cycling holidays throughout South East Asia, China, and Mongolia. At the time of writing our bicycle touring destinations include Thailand, Laos, Vietnam, China (including Yunnan, Guizhou and Guanxi), Mongolia, Sri Lanka and Taiwan. You can filter tours by country if you know where you want to go, otherwise, we've included summary information to help you choose a tour. We specialize in exploring the lesser known, less touristed parts of Asia and finding routes based around quiet, traffic-free backroads and trails, to give you the most memorable holiday experiences. All of the cycling tours below have been personally researched by us, will be guided by us and include the high standards of personal service that we have become known for. Filter tours by destination below. Mountains high and valleys wide, steep climbs and sweeping descents - perfect sealed roads, gravel tracks, red clay rural trails and deserted byways - a modern city, small riverside villages, mountain communities of hill tribe folk and a Chinese hill town. With all of this set amidst vast expanses of emerald green rice fields, vegetable farms, orange groves, tea plantations and eucalyptus forests our Northern Thailand tour offers a wonderful diversity of culture, scenery, flora, fauna, roads and trails that come together to provide a superb adventure cycling experience. 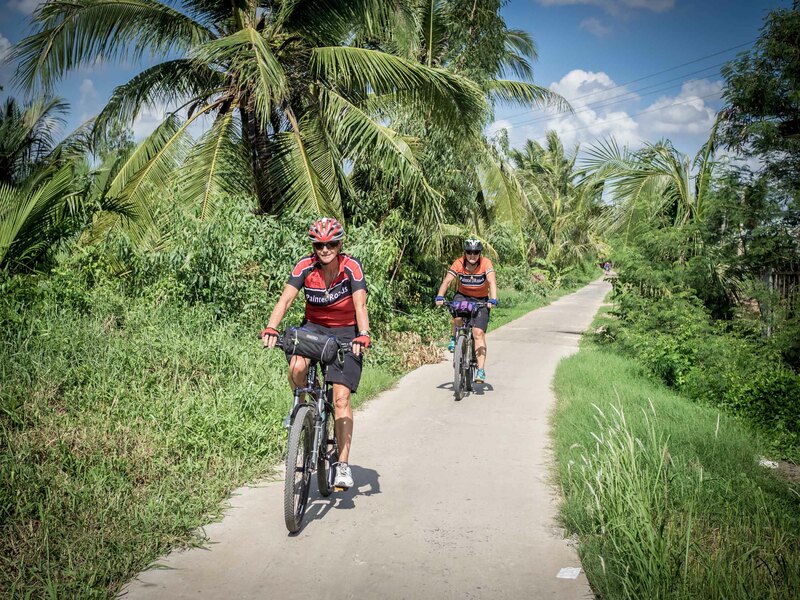 If you are looking to see the Thailand your friends visit on holiday, if you want the same experience as 99% of Westerners in Thailand, then this cycling holiday is absolutely not for you. If however you are looking to see a Thailand that is still the land of smiles, where Thai people are friendly and interested in why you are travelling through their country, a Thailand of fishermen and farmers and small seaside towns revolving around the laid-back local people, then it is difficult to think of a better way to see the country than cycling south Thailand. If you wish to truly experience Thailand then this tour could well be for you. 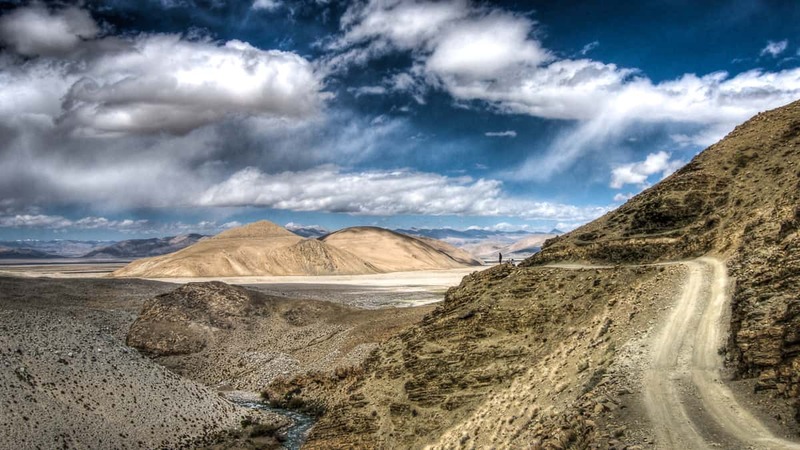 Perhaps the ultimate challenge for the adventurous cyclist, this epic high altitude expedition takes us from the fabled Tibetan city of Lhasa, across the roof of the world to the exotic Kathmandu. Cycling between 4000 and 5200 metres the rarified air is an omnipresent reminder that we are riding through the Himalayas, the highest mountain range on Earth. The terrain we ride through is dramatically barren and breathtakingly beautiful in equal measure. And the backdrop of the majestic white wall of the World’s mightiest peaks is as breathtaking as the altitude. With two weeks of wilderness camping, long climbs, thin air, harsh sun, and chilly nights beneath canvas, this is not a tour for everyone - but for the adventure seeking hardened cyclist eager to experience a different culture and prepared for the unexpected, this is an adventure of a lifetime. After an incredible day of cycling imagine relaxing outside your tent beside a babbling stream when a herd of yak appear over the hill and wander down the valley to drink close to our camp. Two riders approach on horseback, one wears a drab brown robe, the other a vivid blue gown tied around the waist with a sash, and we watch as the two youngsters corral the herd to the safety of their nomadic camp for the night. To visit Mongolia on our fully supported cycling holiday is not just to visit a far-off land in distance, it also feels like travelling to a different place in time. Mongolia is a land of ger dwelling nomads who spend the year tending their herds and moving on to fresh pastures. And for nine wonderful days, we live amongst this wilderness, cycling through the vastness of the Mongolian Steppe, and spending our nights' camping in the valleys of friendly and ever hospitable nomadic herders, whose way of life has changed little over the centuries. 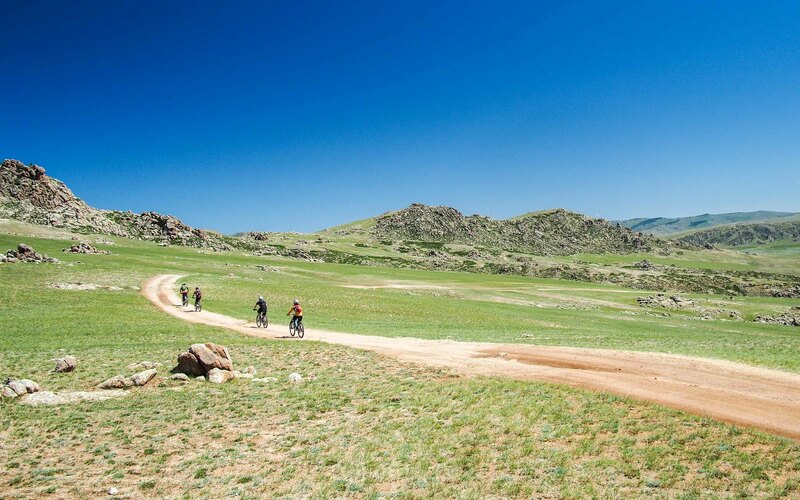 Join us in Mongolia for a truly memorable cycling adventure. Gravel bikes, All Road bikes, Adventure bikes - whatever you wish to call them these bikes are fantastic, and, allowing a brisk pace on road whilst still being supremely capable off-road they open up a wonderful array of possibilities for the adventure seeking to explore the path less travelled. A little know secret of Thailand is its astonishing network of unsealed roads. Gravel, grit, dust, and dirt trails spread out across the entire nation like vines, but generally, remain unknown and untraveled by all but the local farmer. Slowly these roads are being sealed, meaning that quiet rural blacktop byways and concrete lanes link these unsealed gems and provide those with time to explore the opportunity to enjoy a unique adventure and see a Thailand a world away from the tourist land that 99% of tourists experience. Drawing on a long-held passion for exploring the roads, tracks, and trails less travelled, we have woven a route from Chiang Rai in the country’s far north, to Ayuthaya, the ancient capital less that one hundred kilometres north of the nation’s present capital, Bangkok. If you enjoy adventure cycling, gravel roads, byways light of traffic, and seeing the side of a country seldom experienced by the vast majority of visitors then this really could be just your sort of tour. Three neighbouring nations, three written scripts, two and a half languages, two political systems, one major religion. Not only is this tour a cycling odyssey through fascinating regions along a path less trodden, it is a journey of discovery through three lands that for all the world should be so alike, but in actuality are so very different. History, colonial powers, war, religion, extreme political struggles - all have left deep marks on these lands and their people. Even now these same forces are morphing and changing these countries as we cycle through, and it is passing through at a human pace, by bicycle, that allows us to meet the people, sample the food, smell the aromas, and hear the daily life exchanges that are what travels and exploration are all about. Dates: No dates available at this time. Many years ago whilst cycling alone across China I wondered what China would have been like had the civil war gone the other way and communism had never taken over. I rode and pondered, and then I realised - Taiwan - it is after all to where the Kuomintang fled when they felt they may be less than popular in China. It took me some time to eventually get to the Beautiful Island - as Taiwan's previous name Formosa translates from Portuguese to English- and once there I was bamboozled as to why Taiwan is not the world’s cycling mecca. If I were to sum it up in a word, I would simply say, wonderful. 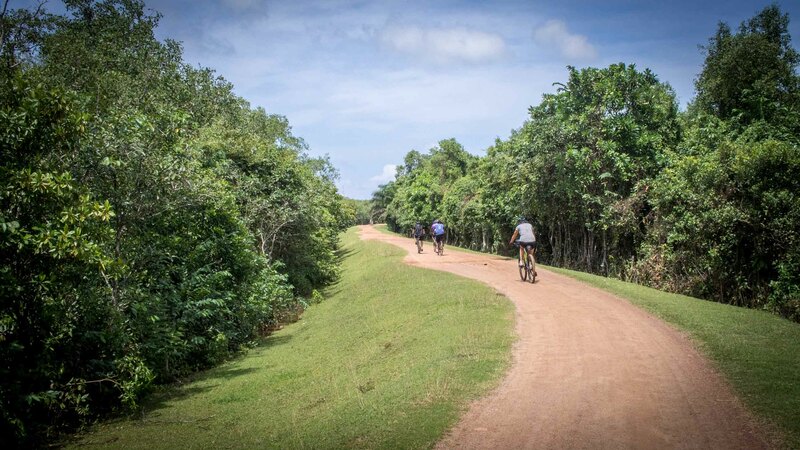 A wonderful bicycle journey from the tranquil fishing communities of Sri Lanka’s west coast, through the ancient architecture of the North Central region and onwards, via the stunningly beautiful central hill country to the beaches and the wonderful Galle Fort on the south coast. Join us to explore one of Asia's friendliest and most diverse cycling destinations with wonderful colonial architecture, delicious curries, bewilderingly beautiful hills, a myriad of fauna, and a seemingly endless stream of smiles. Extending south of Hanoi is the Annamite Mountain Range, known in Vietnamese as Truong Son. During the Vietnam War, a series of supply routes through the dense jungle of these mountains were used to move troops and supplies to support the North Vietnamese Army and the Viet Cong in their war against South Vietnam and the United States. This series of trails ran not only through Vietnam, but also through neighbouring Laos, and soon became known as the Ho Chi Minh Trail. 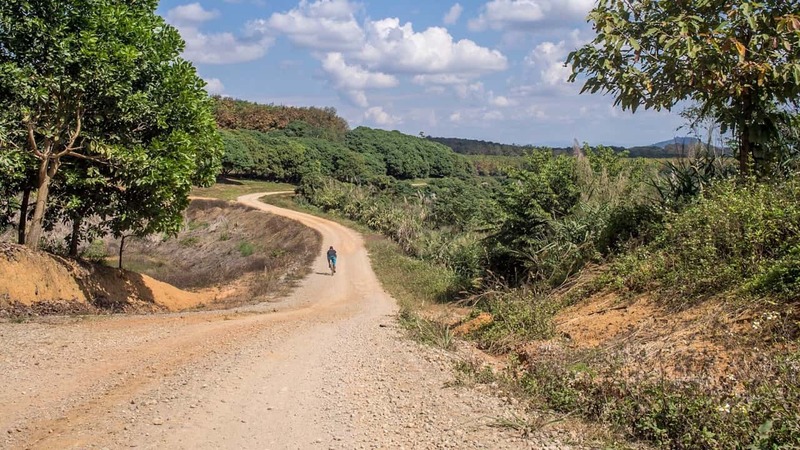 Some thirty years after the war came to an end a series of roads following the route of these trails were finally linked together and sealed and, rather appropriately dubbed, The Ho Chi Minh Trail. 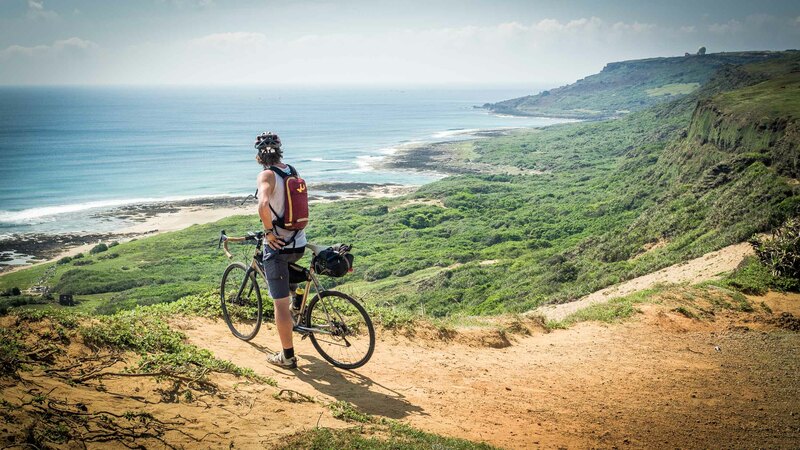 Named after the leader who led the nation to liberty from colonial rule, this relatively new and oft times amazingly deserted route provides a wonderful conduit for the adventurous cyclist to explore a beautiful and regularly deserted region of Vietnam seldom visited by Western travellers. A highly recommended tour if you're keen to enjoy a cycling holiday off the beaten track. Note that this tour includes an optional extension to include a visit to the UNESCO World Heritage site of Halong Bay. See below for details. Tiers of rice terraces fading seemingly to infinity as they drop away through a vast valley, karst pinnacles like those from a Chinese water painting, minority people whose way of life and dress is little touched by the outside influences of the global village most of us inhabit; North East Vietnam as such is possibly the most stunning destination in South East Asia for a cycling holiday, and this tour is all about adventure. 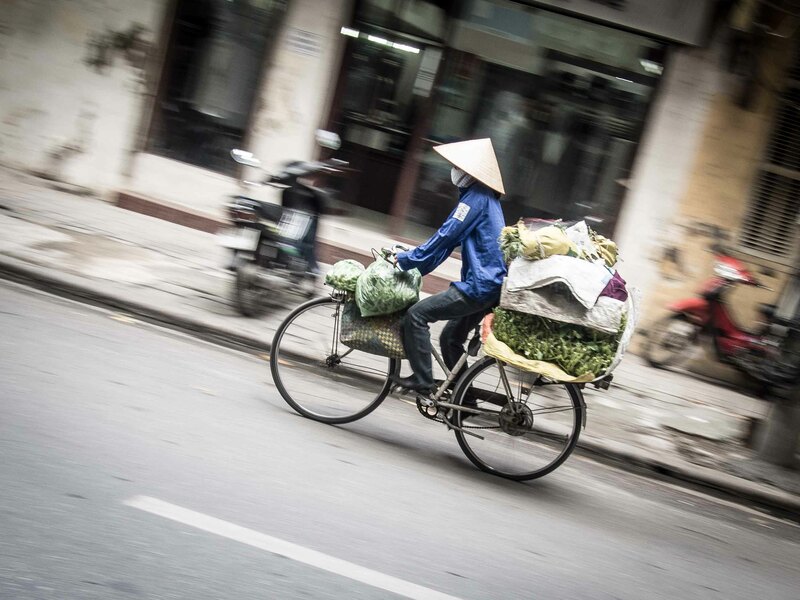 From Hanoi in the north of Vietnam, we first transfer to within a few kilometres of the Chinese border from where we set out by bicycle to explore a region overwhelmed with natural splendour. The cycling is on small, quiet roads with challenging climbs and breathtaking descents. 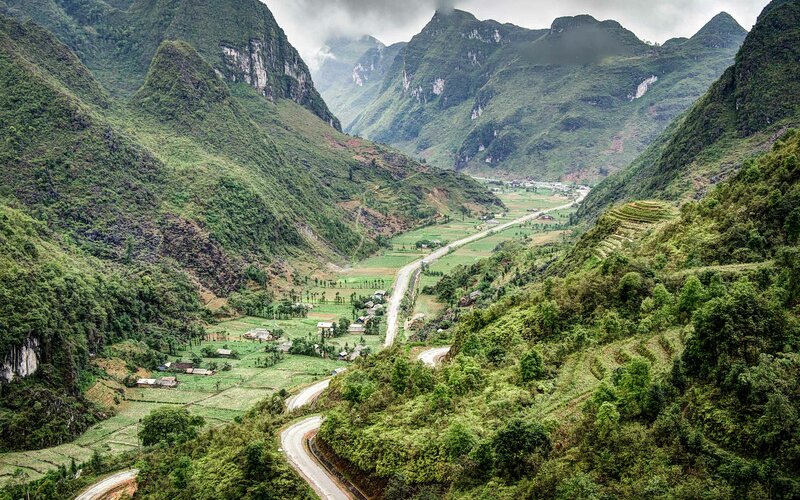 Our exploration of this part of Vietnam follows valley floors, climbs through karst hills and past rice fields, crosses spectacular mountain passes and explores wonderful plateaus. If you desire a bicycle touring adventure through a Vietnam little visited by outsiders then The Painted Roads North East Vietnam cycle tour could well be for you. Note that this holiday includes an optional extension to include a visit to the UNESCO World Heritage site of Halong Bay. See below for details. 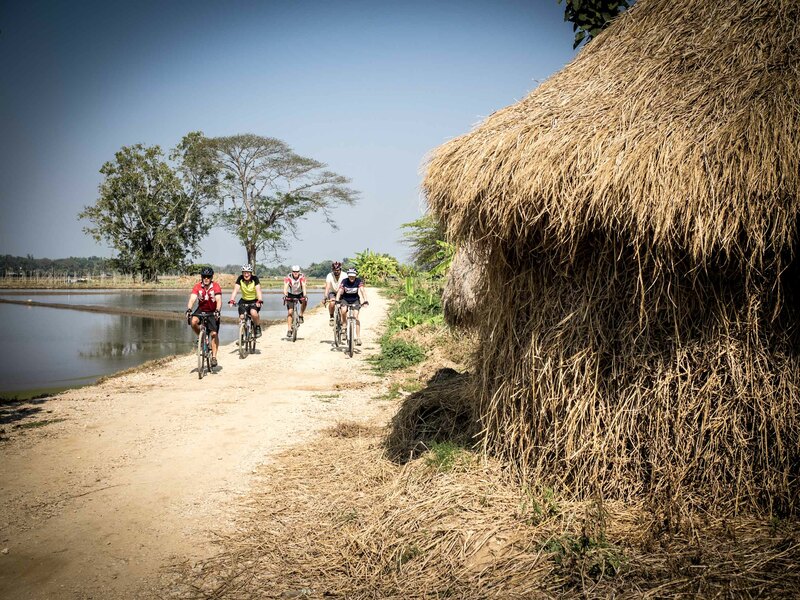 This is a fascinating ride through the labyrinthine network of waterways and accompanying tracks, trails, and paths that cover an area from Cambodia to the South China Sea, offering fine relaxed cycling and insight into lives not normally seen. 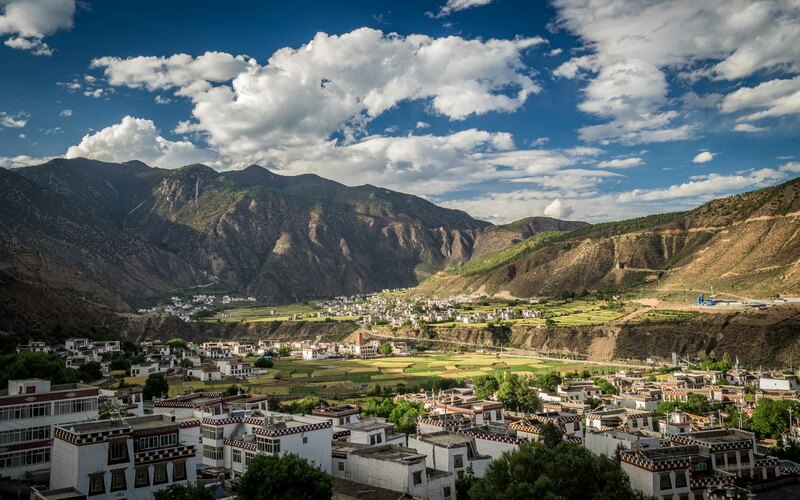 From the Tibetan town of Shangri-La, across a 3700-metre pass, through one of the world's deepest gorges to an unspoilt town from the ancient tea trading route. Onwards across a mountain range leading to one of China's biggest freshwater lakes. And hence to the capital of the Bai minority people, Dali Old Town. 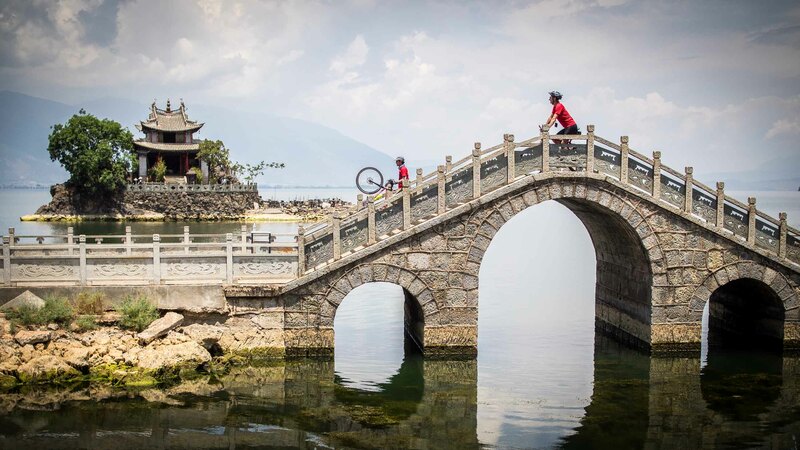 This cycling epic offers more of China in two weeks of pedalling that many people would ever imagine existing. Featuring epic landscapes and a real sense of adventure this tour has become, quite rightly, our most popular. Many years ago I awoke on a train travelling through China’s Guizhou Province, and, pulling back the curtain was convinced I had awoken in the midst of a Chinese watercolour. I had hitherto been quite sure that these beautiful paintings were works of fantasy, but now, here before my eyes, was proof that such enchanted landscapes exist. Several years later as part of a long journey through China, I found myself making a bicycle tour through the neighbouring Guangxi Autonomous Region, all karst spires and natural wonder, and I knew I must return. 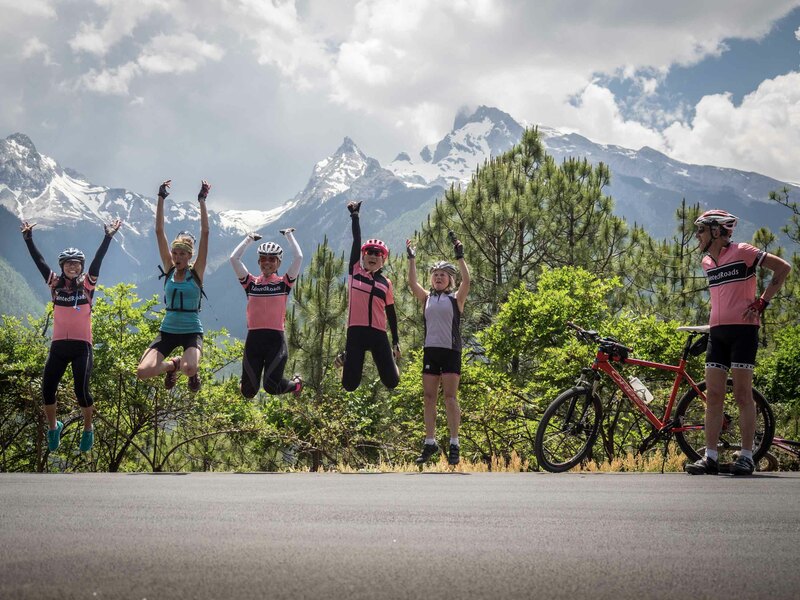 A far cry in so many respects from our wonderful Yunnan cycling tour, these two distinctly different China tours just begin to scratch the surface of what a diverse land this is. Tibet is an almost fabled land that many long to visit but few do. For most people when thinking of Tibet it is of Lhasa, the Potala Palace, and Everest, the Tibet of the classic Lhasa to Kathmandu ride. This is the Tibet of The Autonomous Region which unfortunately suffers travel restrictions and the need for foreign travel permits, permits that are all too frequently not issued or withheld. The Tibetan region of Kham in Sichuan Province fortunately suffers no such restrictions and is open for anyone holding a Chinese visa. Having explored the area several times by bike during the first decade of this century it has long been David’s desire to run a tour in Kham. This is a truly Tibetan experience with soaring mountains, hight passes, open pastures and narrow valleys. There are monasteries and monks, yaks and barley, and cowboys on motorbikes. 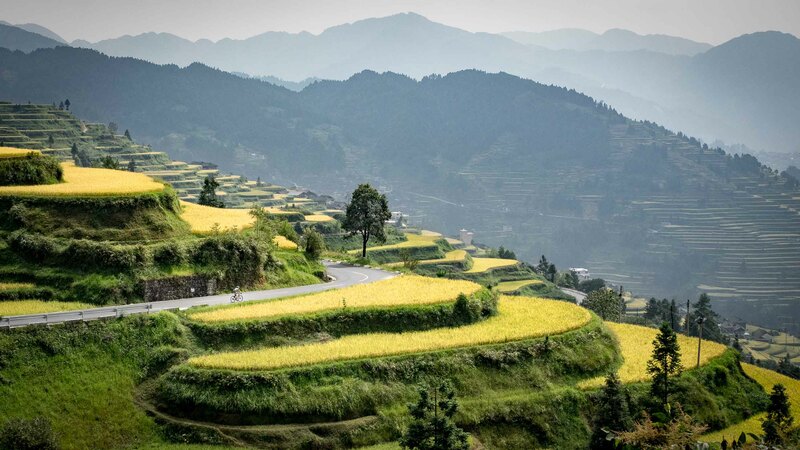 The tour also boasts lower sleeping altitudes, comfortable hotels, and the absolutely wonderful cuisine of Sichuan - Kham offers an excellent opportunity for a cycling adventure in a most exotic land. LabRat Runs have quickly become a PaintedRoads tradition. A group of easygoing and adventurous regulars, The LabRats annually sate their appetite for adventure by joining the inaugural running of a PaintedRoads adventure tour. 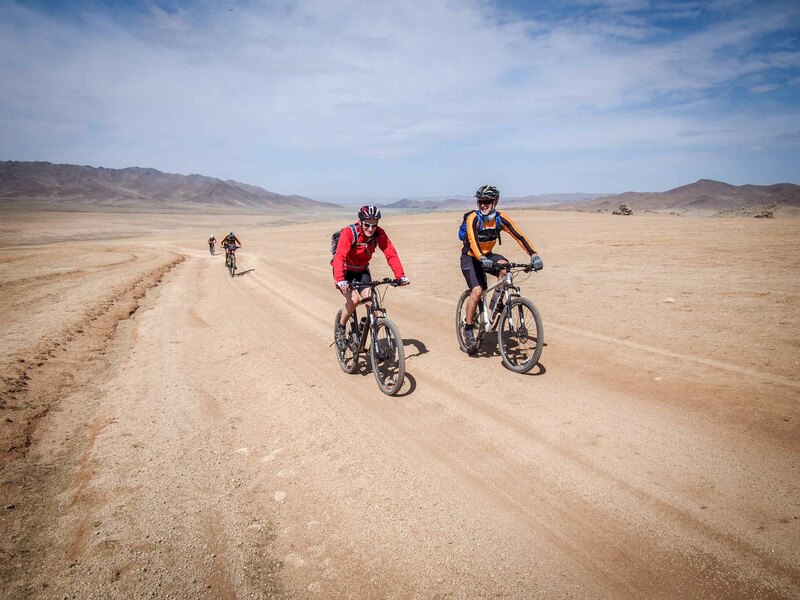 And so the LabRats will once more team up with our trusted and much respected local crew and head for the very edge of Mongolia, to cycle the tracks, trails, and gravel roads of the country's highest and wildest region. It is to be an adventure on the edge of the modern world, where nomads roam the mountains and plains on horseback, living in gers, and hunting with eagles amongst the crystal clear lakes, snow-capped peaks, glaciers, and emerald meadows that form the border with China’s Xinjiang Province and Russia’s Siberia Province. It will be epic! Please Note: The images in the gallery below are from our regular Mongolia tour in the Alti Mountains. Stay in touch for news of special offers, new tours and stories from the road. © Painted Roads 2019. All rights reserved.